As Seen on Good Day Philadelphia! Sleepy Paws Pet Care is a fully insured and bonded pet care service. We have the knowledge, professionalism and expertise to care for your loved ones while you are away. At Sleepy Paws Pet Care, all we do is take care of pets; therefore we take our work very seriously. Not only do we love what we do, we know your and your pet will too! If you need dog walking, cat sitting or a sleepover for your pet’s well being, our professional pet sitters and dog walkers can help. 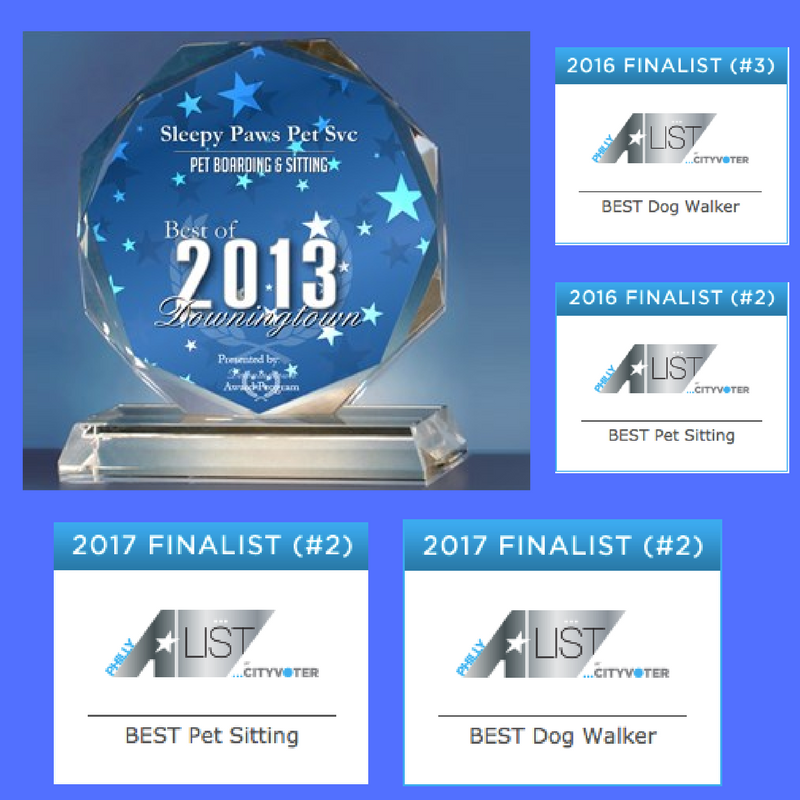 Sleepy Paws offers service in Downingtown, Exton, West Chester and surrounding areas. We gladly provide services to pets of all breeds and sizes and can administer medications if needed at no extra charge. 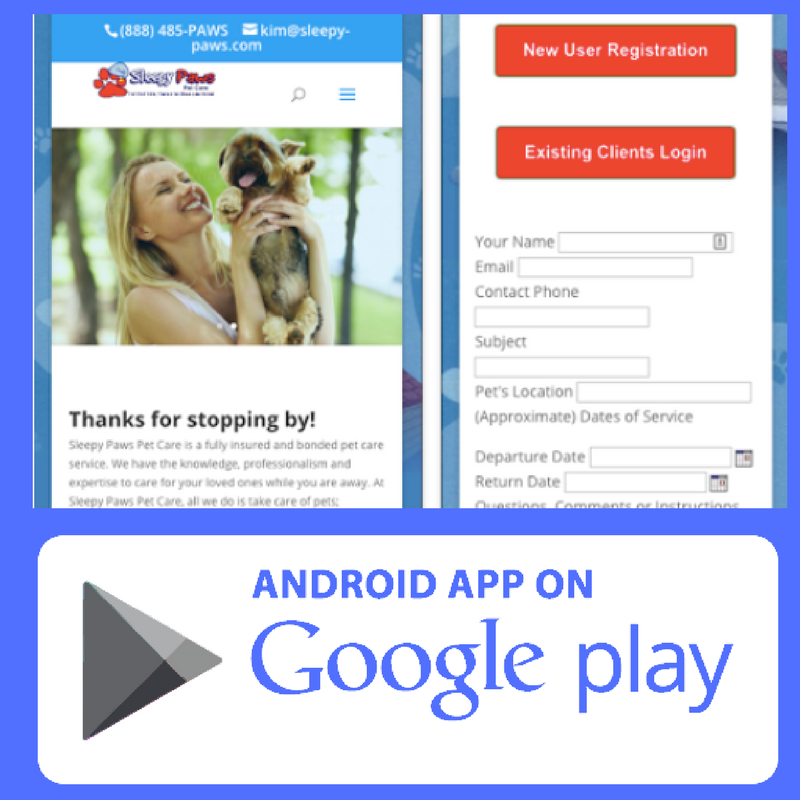 At Sleepy Paws, we understand how consistency is critical for the well-being of your pet. Establishing a relationship with a professional and caring pet sitter that you can count on every time will give you peace of mind knowing that your pet is being well cared for. With a kennel or boarding house, your pet may be locked in a cage or playing with unfamiliar pets. With our professional pet sitters and dog walkers on the job, your pet will get all the love and personalized attention they deserve, while being in the comfort of your home. After our initial consultation, where we meet you and your pet, your info will remain on file so a quick phone call will reserve service with your pet sitter. So if you have an emergency or last-minute commitment, you know Sleepy Paws will have you covered. In addition, you will have one less thing to do as you won’t have to drop them off or pick them up anywhere. We serve the Downingtown, West Chester, Exton and surrounding areas. Brandamore, Chester Springs, Coatesville, Downingtown, Eagle, East Fallowfield, Exton, Frazer, Glenmoore, Honey Brook, Immaculata, Lionville, Lyndell, Malvern, Modena, Pomeroy, Thorndale, Uwchland, Wagontown, West Chester.